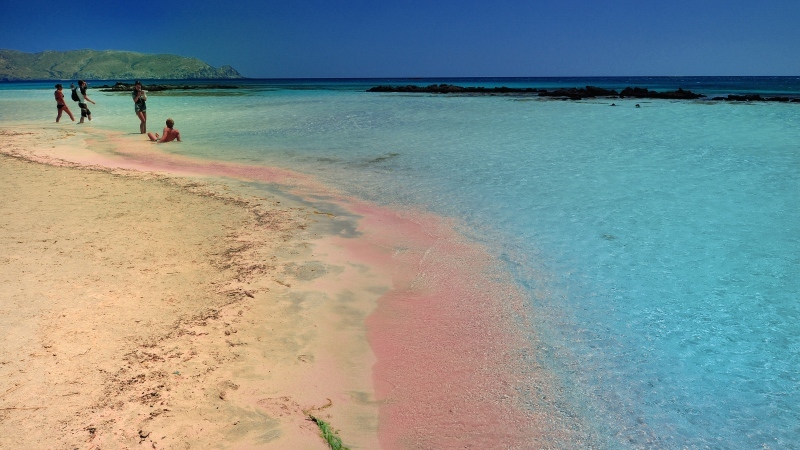 If you would like to discover a small island covered wit sand dunes and small trees, sandy beaches and tropical waters, then you must visit Elafonisi, one of the most exotic beaches of Crete. It is at the southwest tip of Crete, 76km from the city of Chania. A protected natural reserve by the Natura 2000 European Act, Elafonisi is a peninsula which breaks in two parts by water giving the impression of being a separate island. A lagoon, shaped at the point, is ideal for children. The sea is so shallow that you can cross over the island by foot. The white sand which in many places gets pink shades of the thousands of chrused shells, gives a different look to the beach. The crystal clear and blue-green waters remind of the Caribbean.